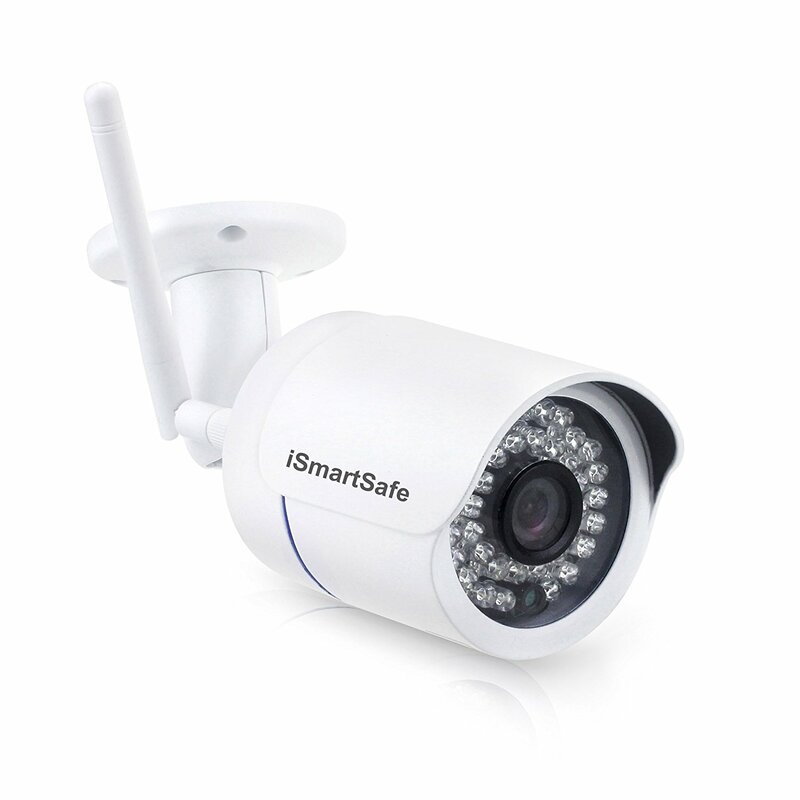 iSmartSafe produces state-of-the-art HD indoor and outdoor security IP cameras, working with iSmartSafe security system. All of our home security IP cameras can be accessed remotely from your smartphone, tablet or desktop, and provide the ability to monitor live video over the internet from web-connected device. So you can check in on your home or monitor staff at work wherever you are. All of our security IP cameras have night vision and motion detection function. When security IP cameras detect the motion, they will send an alerting message to your cell phones, Take a snapshot sending to your email, and start to record the video automatically. All the security IP cameras have both wireless and wired connection.